My review of Fringe ran in today’s edition of the Tufts Daily. The article is the latest edition of “Second Chances,” a semi−recurring feature that looks at TV shows that deserve a second chance from viewers. Their ratings may be low, but their quality is high, so if you tuned out early on, here’s our case for why you should give each show another try. Sci−fi is a tough genre to get right, especially on television. Scientific jargon about aliens and other dimensions doesn’t sit well with the average audience, so sci−fi shows have to carefully balance their genre roots with more exciting action and characters to rope viewers in and keep them watching. “The X−Files” (1993−2002) did it quite successfully (though arguably less so in its later years), and “Lost” (2004−10) was ABC’s flagship series for the duration of its run. But then there are cases, like “Firefly” (2002−03), which barely last a season. Even “Lost,” well, lost a good chunk of its viewership once it embraced its sci−fi side and revealed itself to be as much about time travel and electromagnetic energy as about its characters. 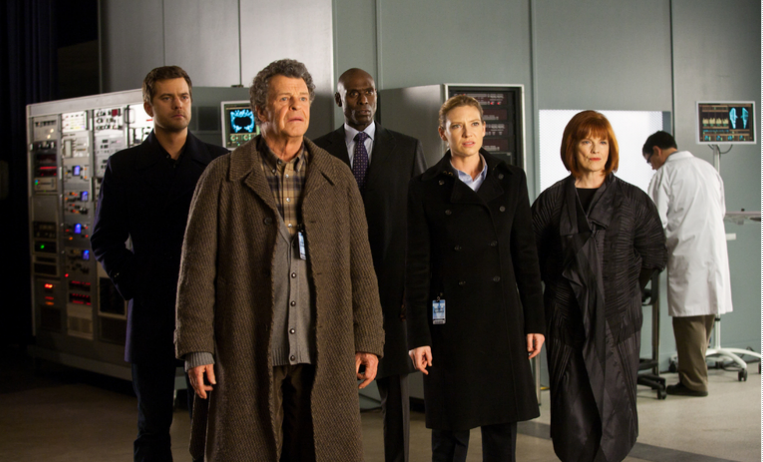 All of this is to say that “Fringe” has had its work cut out for it since it premiered in fall 2008. The series follows the FBI’s Fringe Division, which is responsible for investigating out−of−the−ordinary cases relating to fringe science. This includes everything from shape−shifting to stolen dreams to vanishing buildings due to a riff between our universe and a parallel one, where each person in our world has an alternate version of themselves, where Sept. 11 never happened and where a copper Statue of Liberty houses the Department of Defense. This entry was posted in BP at the Daily, Fringe and tagged Anna Torv, BP at the Daily, FOX, Fringe, Joshua Jackson, Lost, sci-fi, Television, TV. Bookmark the permalink.